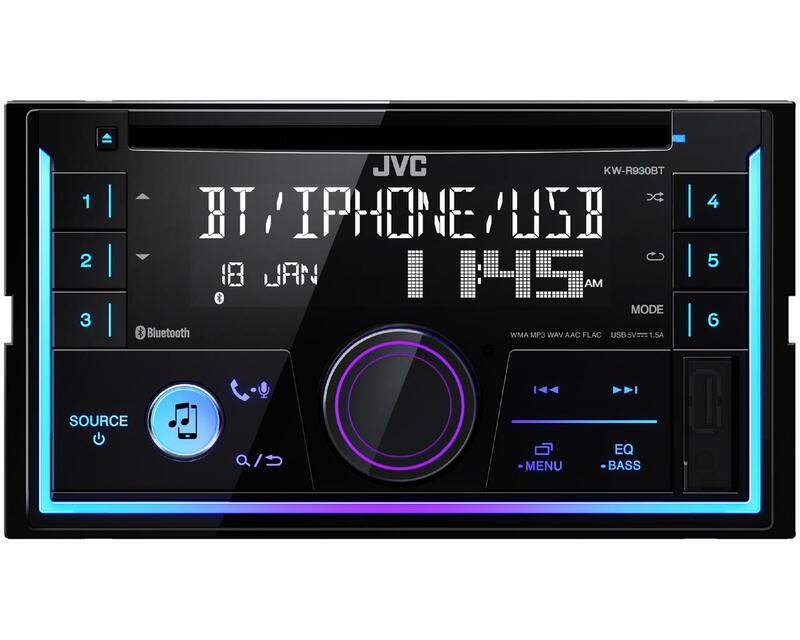 JVC’s KW-R930BT 2din CD Bluetooth, iPhone/Android music • JVC U.K.
Transform your vehicles dashboard with JVC’s KW-R930BT 2DIN double sized CD digital media receiver. 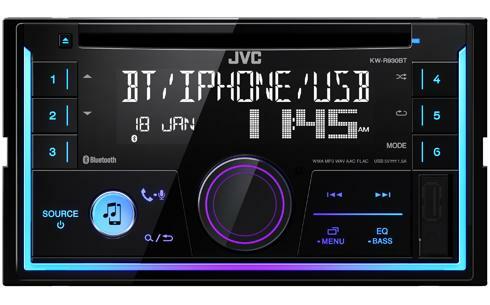 Designed for those who store their music on their Apple iPhone or Android smartphones and want to listen on the move. 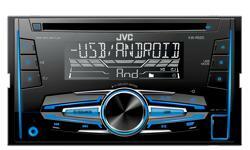 Music playback can be via Bluetooth wireless streaming or directly connected to the USB input. The USB method also keeps your smartphone charged. In additional to music playback, 2 smartphones can be paired for simultaneous hands-free use. Spotify app users will love the ability to search for their favourite tracks and albums again via Bluetooth or USB connection. 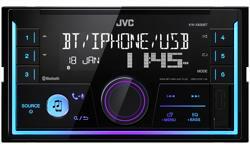 An FM/AM radio receiver is included.